SHENZHEN, China- Ms Elise Donovan, Director of BVI House Asia, has met with the new Director General of Shenzhen Foreign Affairs Office, Ms Cai Ying; Deputy Director General, Mr Yao Weizhi; and Director of Protocol Division, Ms Claire Xie today, March 26, 2018 in Civic Center, Shenzhen. 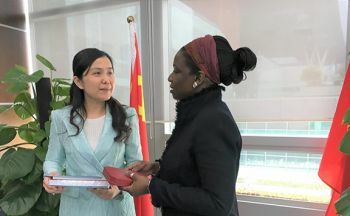 Ms Cai, former Director of Shenzhen Agricultural Products Ltd., took up the official appointment as Director General of Shenzhen Foreign Affairs Office in January 2018. 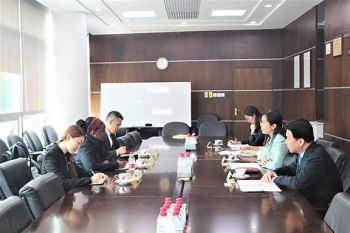 Both Director Cai and Director Donovan reaffirmed their commitment to establish and strengthen the relationship between the BVI and Shenzhen, and also decided to intensify their dialogue on tourism and financial services as well as expand cooperation on education. The VI is an active friendship city of Shenzhen since signing an MoU (Memorandum of Understanding) for cooperation in 2014. They don't respect her enough to listen to all the initiatives she 's trying to put in place. If the woman don't agree, that's it. Cause she run things!!! Elise I want to see you home but Lord Have Mercy!!!! And a sore in your stink mouth.